Take a moment and think. What were you doing five years ago? Who were you dating? How many pounds lighter were you? What were you listening to on your iPod? Why did you sign up for Google+? Maybe, if you were a true film nerd, you were going to the very first Hana Hou Picture Show. 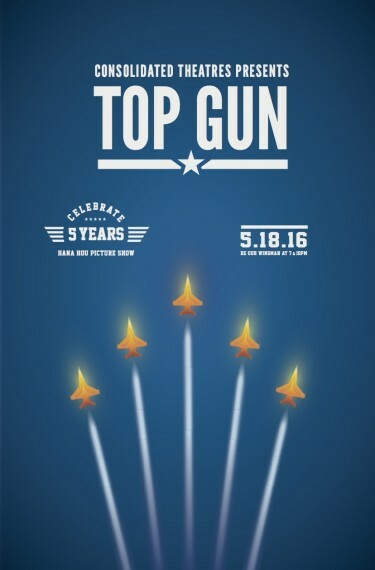 This Wednesday, Consolidated Theatres Hana Hou Picture Show celebrates its fifth anniversary with their yearly summer kick-off screening of “Top Gun.” It’s an impressive milestone for a monthly classic film show whose selections are decided by fan votes. There have been so many great films shown on the Titan XC over the years. “The Goonies,” “Back to the Future,” “Grease,” “Flash Gordon.” Wait, what? Nothing against Flash or the people who voted for it, but as a Hana Hou fanatic, there are still many movies that I’d love to see back on the big screen … and it’s been a long wait. So this Wednesday, my birthday wish is for these five films to make the cut during the next five years of the Hana Hou Picture Show. I remember watching “Superman” at the Waikiki Twins, just a little boy with a chawan haircut and Underoos. Even back then, I knew that ***SPOILER ALERT*** Superman, flying at super speeds to reverse the Earth’s orbit and turn back time, was total crap. But flawed as it may be, it still has more joy in its opening credits than the last two “Superman” movies combined. And I’ll happily pay my 10 bones just to listen to John Williams’s soaring score in Dolby Atmos. The music alone made me believe a man could fly. The one thing all the films on this list have in common is spectacle. Watching these movies on the small screen just doesn’t give you the shock and awe the filmmakers intended. I’ve never seen John Carpenter’s Fangoria-filled sci-fi/horror/paranoia masterpiece on the big screen. Maybe that’s just as well. Because I may poop myself. In public. But it’s a risk I’m willing to take. Unlike “Jaws” or “Raiders of the Lost Ark,” there’s a reason why “E.T.” is a Spielberg film I don’t re-watch often. From the music to the cinematography to the powerful performances (especially by Henry Thomas, Dee Wallace and an adorable Drew Barrymore), “E.T.” is an exhausting, tear-jerking, emotional roller coaster. And every once in a while that’s a wondrous thing. Bring it back to the big screen and bring a lot of tissues. It’s 1997. They’ve turned Manhattan into an island prison. Kurt Russell, in an eye patch and sporting an Uzi, needs to rescue the President who’s trapped on the island surrounded by C.H.U.D.S. It’s John Carpenter’s greatest cult classic. Need I say more? If “The Thing” may make me poop my pants, Ridley Scott’s original “Alien” – with its infamous chest-burster scene – may give me a goddamn heart attack. 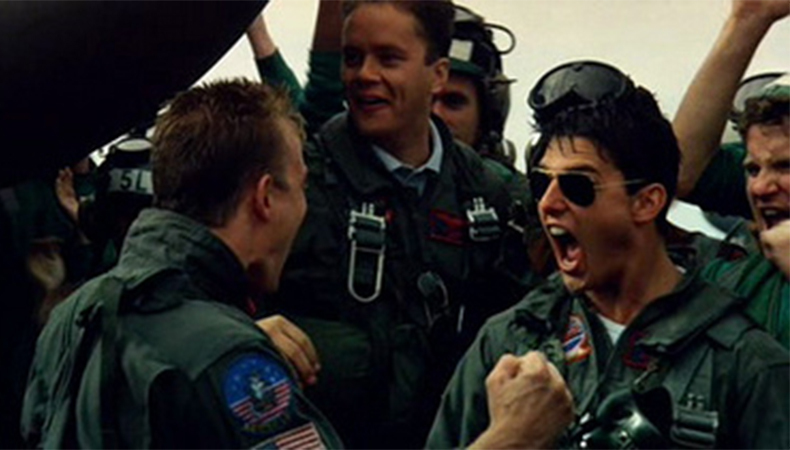 But seeing this on the big screen in all its anamorphic glory is worth the risk. It would be an ironic way to die for a film fan … but what a way to go. Happy 5th birthday, Hana Hou Picture Show. Here’s to many more surprises. “Top Gun” screens at Consolidated Theatres Ward for the 5th Anniversary of the Hana Hou Picture Show this Wednesday, May 18th. Showtimes are at 7 and 10 p.m. Learn more at Consolidatedtheatres.com.